I was born in the village of Collingwood but never knew it existed, well, not until very recently. By the time I arrived on this planet, only a few remnants of the industrial town of Collingwood were left standing. Its importance and its identity had largely been forgotten. It just goes to show that it only takes one generation to not pass on the knowledge to the next and, bam, it's gone! 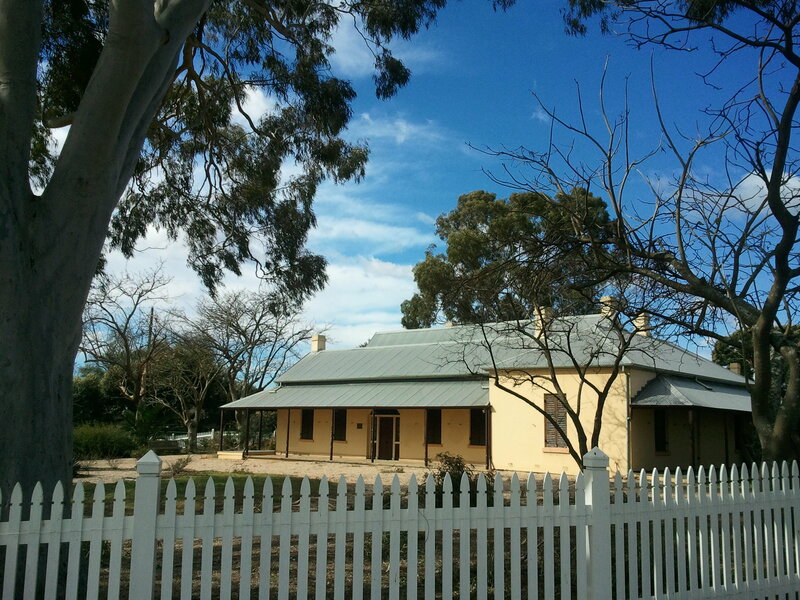 I had always known of the historic Collingwood homestead nearby which dates back to 1810. It was originally owned by an American whaling Captain Eber Bunker and the property Collingwood is named after his first wife Margrett's mother's family. 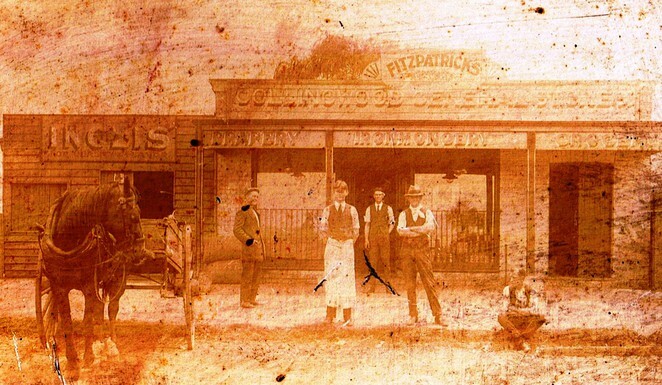 And I certainly knew of my local watering hole the Collingwood Hotel. But it wasn't until I was reading a book about Liverpool that my tired eyes finally focused in on a map. I read it, but could hardly believe it. It was an 1856 map of the village of Collingwood. The village of Collingwood was the vision of wool merchant James Atkinson. 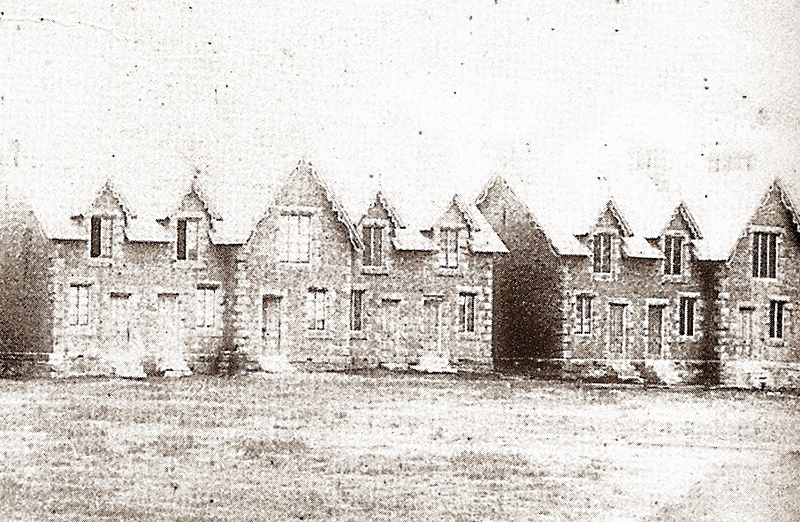 He was the owner of the large Collingwood estate and had a dream to turn his land into a model English industrial age model town. His Collingwood estate was well positioned next to the Georges River and right next to the great southern road, now the Hume Highway. The town of Liverpool was just a mile up the road. But what James Atkinson thought he needed to fulfil his dreams of turning Collingwood into what he called the "The depot for the agricultural and pastoral produce of the southern districts" was a railway line. Rail had changed the face of transportation in England and the USA and Atkinson saw the potential to do the same here. In 1855, Atkinson "turned the first sod" of the railway line which opened the following year in 1856. (Try building a railway line that fast nowadays). He soon opened a modern sophisticated abattoir and ran cattle on his paddocks at Collingwood. He paid for a rail spur to his own property so he could transport his meat and produce to Sydney. Atkinson also had a large piggery and acres of orchards with a state of the art steam pump irrigation system at his adjoining Sophienberg estate. A large woolwash operation was soon built and in 1868, one of the first and certainly the largest paper mill in Australia originally named The Collingwood Paper Works opened by the river. The old flour mill was converted into a rag pickers factory. As the scale of industry in the village grew, so did the need to house its growing work force. 'Model' English terrace high density housing was built. Called 'the Cottages', four blocks of five terraces were constructed nearby on the corner of Atkinson (well of course you would name a street after yourself) and Collingwood Street as well as numerous other worker cottages. On the 'high street' (now the Hume Highway), there were three pubs of which only one, the Collingwood, remains today. There were general stores, a blacksmith and numerous other shops. Collingwood even had its very own racecourse with weekly races. A school was planned but never built. 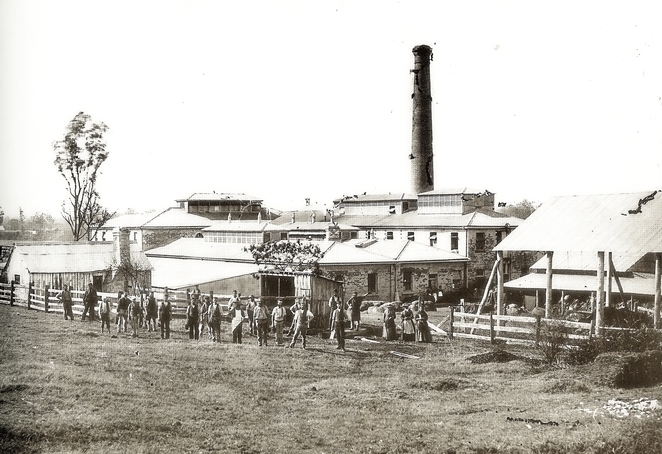 Despite the departure of Atkinson in the late 1860's the Collingwood industial site powered on under different owners providing hundreds of jobs for locals. A tannery and a wool scourer opened and a gas works opened in the 1890's to provide lighting for the town of Liverpool. The paper mill however, under pressure of competition, closed and was replaced by the Challenge Woollen Mill in 1910. 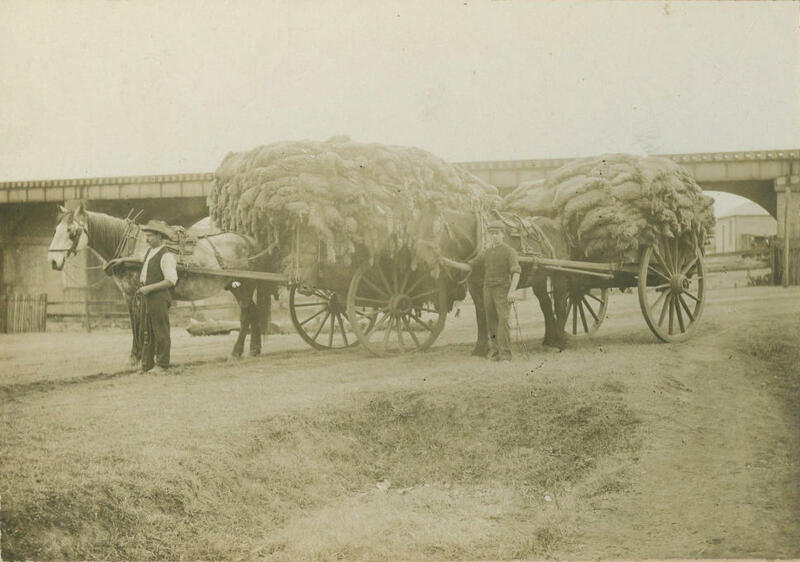 The abattoir closed in 1929 with the centralisation of butchery at Homebush. A steady decline in the fortunes of Collingwood appeared inevitable. Complaints about smoke and noxious odours emanating from the site had long been a problem but with a fast growing population and increasing controls on pollution, the wool scourer and tannery closed. By the mid 1960's only the Woollen Mill remained until it too closed in 1975. The closure of the mill at the cost of hundreds of jobs marked the end of an era. 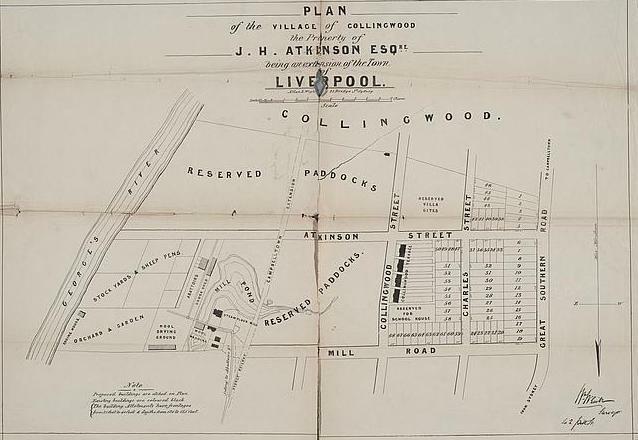 By then, Collingwood's identity had been swallowed up by a fast growing Liverpool. Shops on the highway had long stopped calling themselves Collingwood. Only the pub has retained the name Collingwood. Today, there are only a few ruins and empty buildings of the Woollen Mill as well as a few old simple stone and wooden workers cottages. But most importantly, the grand old homestead Collingwood has survived. The oldest surviving building in Liverpool is where James Atkinson would have overlooked his empire, the lost village of Collingwood. That's so sad! Beautifully written as usual, Glen. Thanks Glen - one of my favourite pubs is the Collingwood and you've now added a different dimension. So much history. Thank you. Looking at sites like this makes one aware of the people who developed this area. How they lived. All pioneers. Looking at the photo with the horse. Did it turn around and say "hurry up. "Deliveries have to be made and I'm hungry". Good to see history alive and well. And congrats on bringing the story to the media's attention. What a fascinating and we'll researched story, great work Glen.